But what if that isn’t all there is to the story? What if we need the cross to become even more for us…in the here and now? What if the cross of Christ is meant to speak about both our need for vertical realignment (i.e. 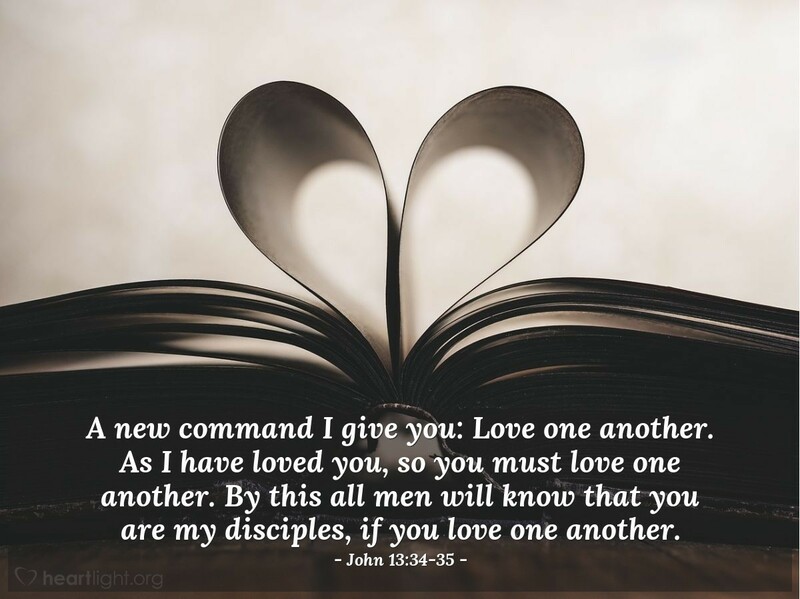 my relationship with our Father in heaven) AND our horizontal alignment (our relationship with one another)? Jesus carried to a tomb in the hands of His followers before being raised to new life by the hand of His Father! Maybe you have longed to actually see with your eyes the places where these stories actually took place! Perhaps you want to walk the steps that Jesus walked; pray were He prayed; remember your baptism where the Savior was baptized; renew your wedding vows on the spot where Jesus performed His first miracle; worship and take communion at the site of the actual resurrection of our Lord! We would like to help make that happen for you! 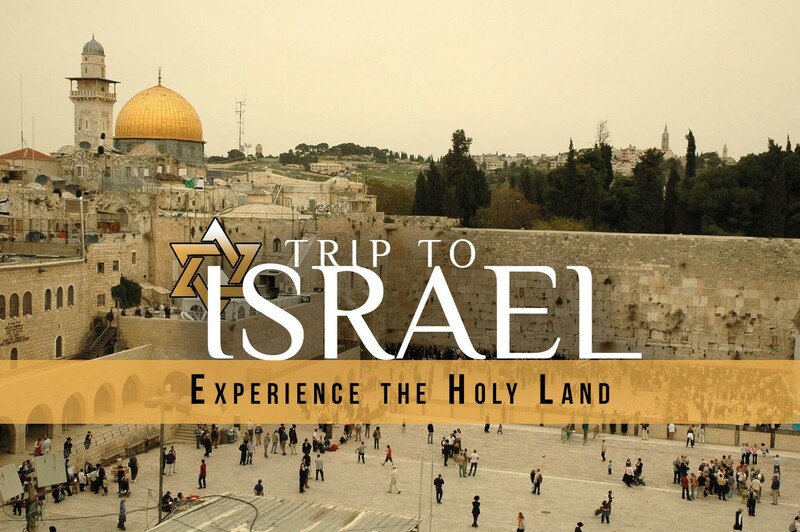 Pastor Steve and Beth have been invited to host a trip to the Holy Land this coming November (4th-13th). And you, along with any friends you would like to experience this life-changing/faith-transforming experience with, are invited to join us! 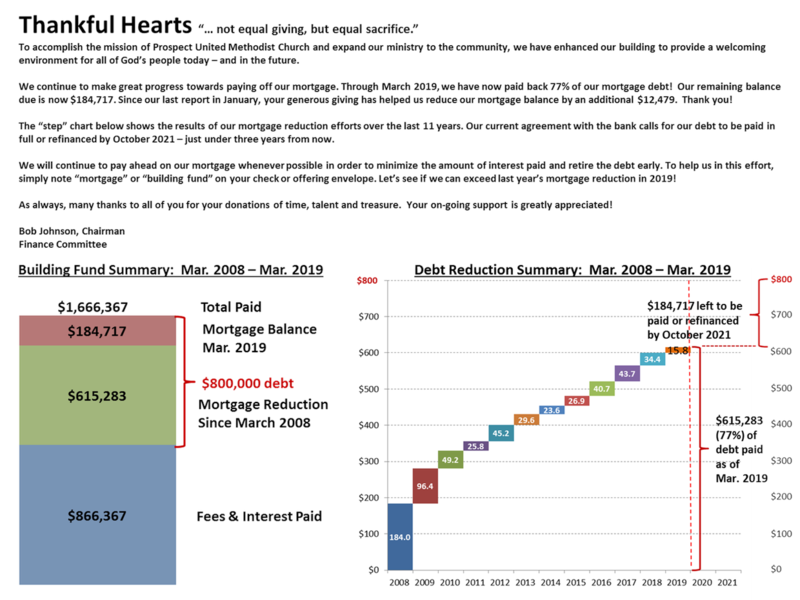 We have brochures available at the church and a (no-commitment) informational meeting is scheduled for Wednesday, April 24th at 6:30 pm at Mt. Hawley Country Club. You can also download the printable version by clicking on the link! I do believe that Spring is actually going to happen. Thank God! We have started the year quite well and I am thankful. 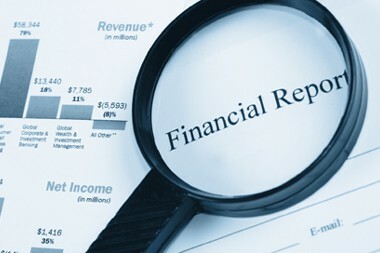 The insurance has been paid for the year, the conference askings are up to date, and the mission budget will be paid as soon as I am instructed to do so. 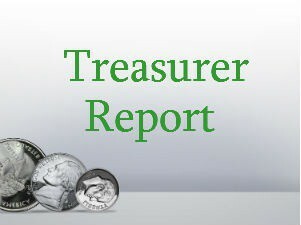 We have a new chairman of the finance committee and that is Jacob Bevill. I do believe that he will do a great job. Bob Johnson has led this team for over five years and has given many hours of time to help all of us. We will miss you Bob, but wish you the very best on your move to the Chicago area. 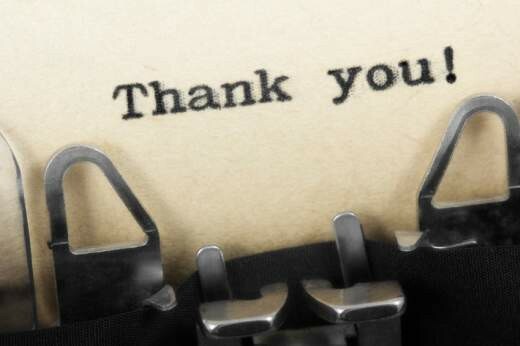 A BIG Thank you for all you have done for us and the church. Elbert Hubbard says “ All success consists in this: You are doing something for somebody—benefiting humanity—and the feeling of success comes from the consciousness of this.” I feel that we here at PUMC continue to strive to benefit humanity both physically and spiritually and we can continue through the generous giving of all of you. Lent will soon arrive and Palm Sunday is April 14th. 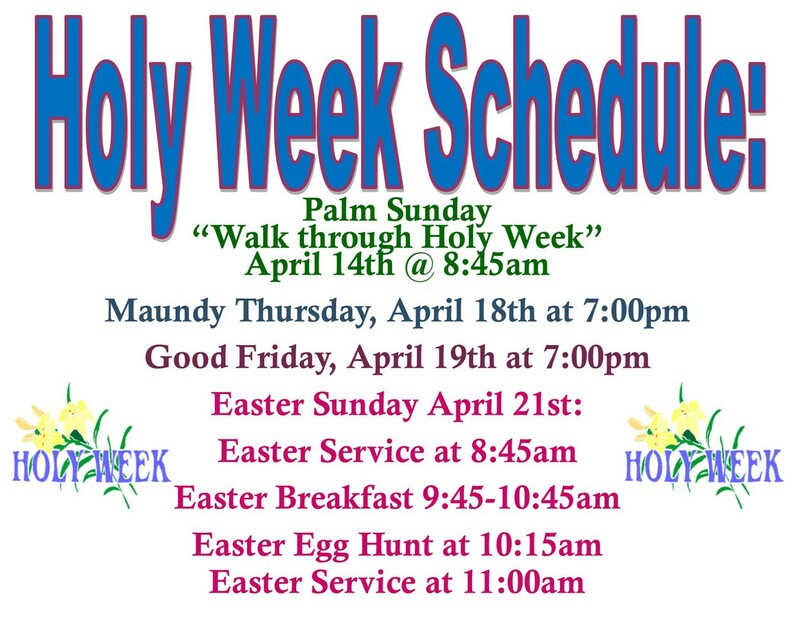 Of course, the Christian faith celebrates Palm Sunday as the beginning of Holy Week-the week of intense passion. On this day of worship, palms will be waved and displayed to remind all of us of the journey that arrived in Jerusalem with great fanfare. As post-New Testament people, we know the account, the participants, and the results. 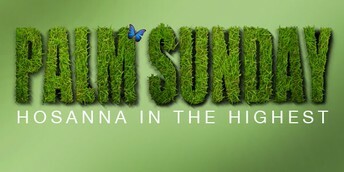 Today we are called to follow Jesus in the servant role he revealed on the first Palm Sunday. Our servant role calls us to remember His sacrifice as we determine what we are able to sacrificially give to help and assist others. 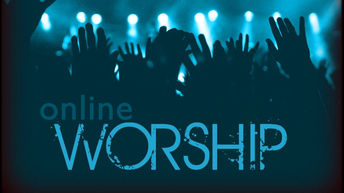 At our 8:45 worship service you will be invited to bring an envelope with your sacrificial offering of money to be left at the altar. The total of these gifts will complete the remaining half of our 2019 Mission Budget at Prospect. 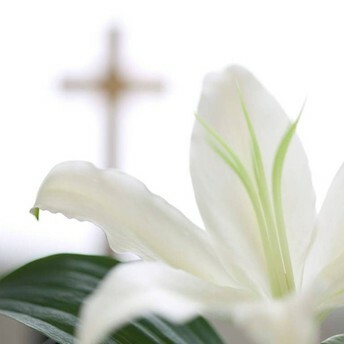 Holy Week is all about “passion” - the deepest feelings God chose to share with all of us. May the depth of our care for others demonstrate our passion for God’s people. 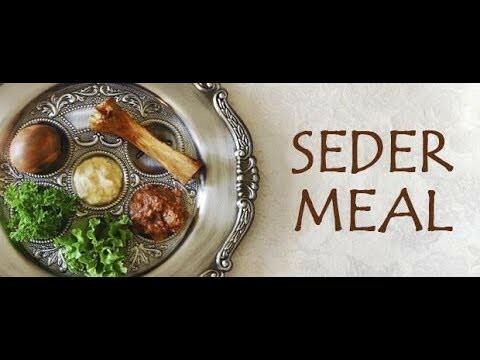 Join us on Sunday evening, April 14th for a “simple” experience of the Jewish Seder meal. as we prepare our hearts to experience the gift of our new Passover Lamb, Jesus. An Easter Lily Sign-up sheet is available to you at the Welcome Desk table in the Gathering Area. Lilies are $10 each. The last chance to sign-up will be Sunday, April 14th! You can also call to place your order with Dani or shoot her an email! Interested in learning more about Prospect? Thinking of becoming a member? We would love to have you join us for “Inside Prospect” on Sunday, April 28th. 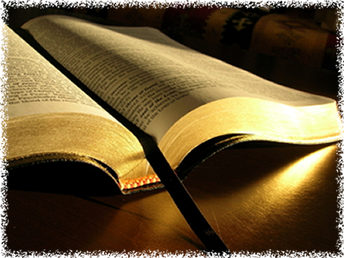 We will gather in the church’s Library between worship services (10:00-10:35). 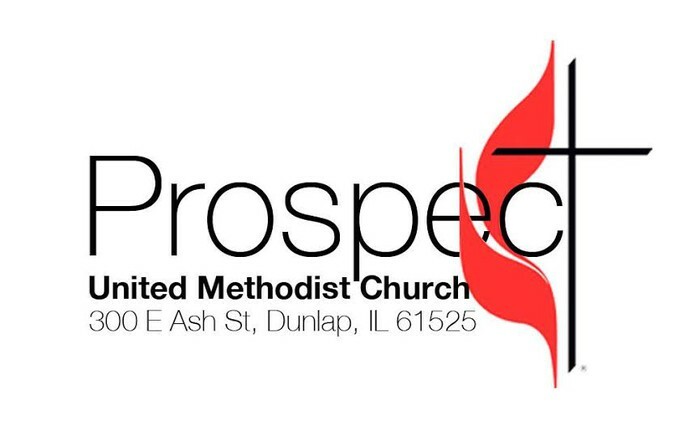 You will have a chance to hear about Prospect’s 2020 Vision while also meeting leaders from our Missions, Outreach, Congregational Care, Worship, Children’s Ministry and Youth teams. 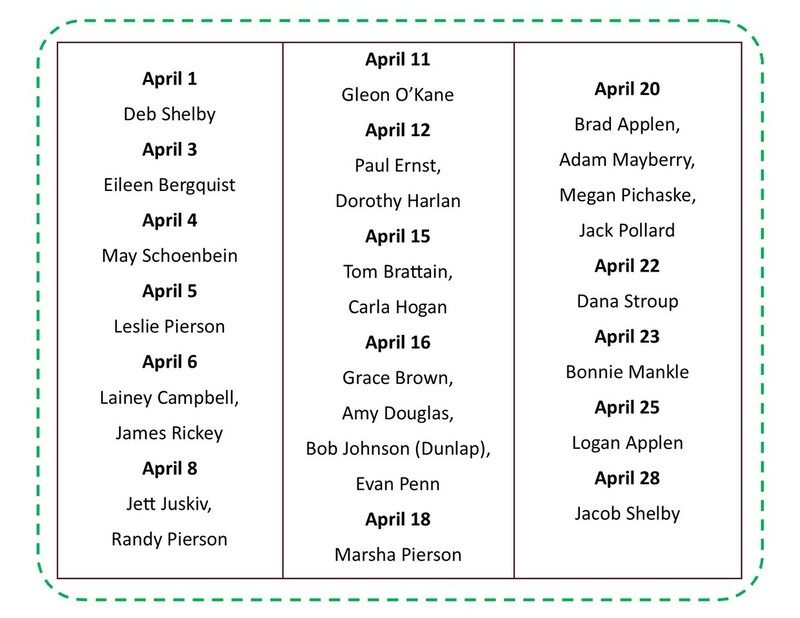 You’ll also get to meet other “new to Prospect” families and ask questions of our leaders. Make plans to join us, and join the team at Prospect, on April 28th. 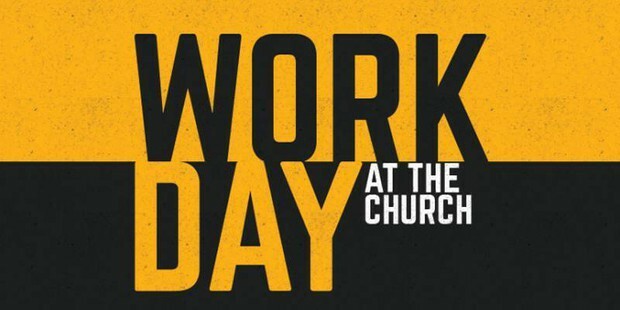 Contact the church office, or Pastor Steve, for more information. Dunlap Senior Center at Prospect UMC! PUMC is the proud host location for the new Senior Citizen Activity Center here in the Village of Dunlap. 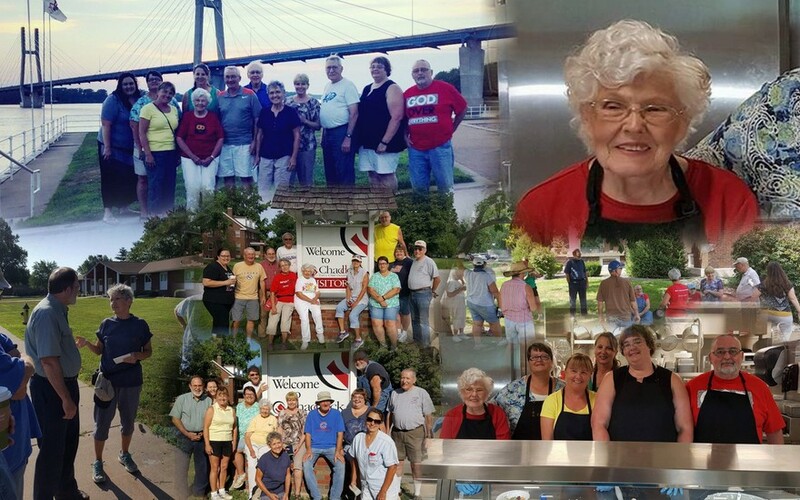 Located in church Fellowship Hall, the Senior Activity Center is open every Tuesday and Thursday (except for holidays) from 9:00am-3:00pm for men and women 50 years. The Senior Center provides a warm & free setting where you can meet people, join a card game, put together a puzzle, play Mexican Train dominoes, or just sit and chat with a cup of coffee. We also have a pool table and ping pong available! Eventually they will also be offering classes such as easy exercise, line dancing, sewing, women's and men's crafts and other activities that may interest you. Questions? Please email the coordinators at dunlapscac@gmail.com. After organizing/leading our Spring Rummage Sale for the past two years, Teri Durand is ready to pass the baton on to someone else. If you would be interested in organizing this year’s sale or being part of the leadership team, please contact the church. Without a new point-person for the sale, we will likely take a year off (allowing you to restock your donatable items). And speaking of major Prospect outreach and fundraising events, we are also looking for 2019 Turkey Dinner Chairpersons. 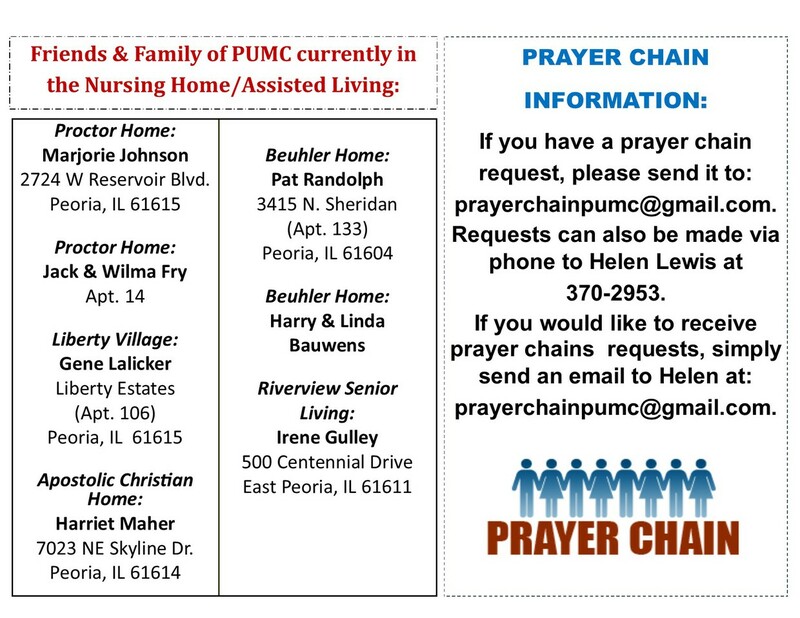 Please prayerfully consider being a part of this year’s Turkey Dinner Team, and contact Pastor Steve (and/or Jim Durand) if you would like to learn more about serving as a chairperson (i.e. chief organizer) for this event. 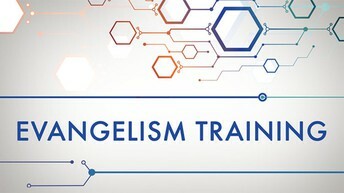 full day workshop on Evangelism. Cost is $10 and includes lunch (we will cover the registration fee). 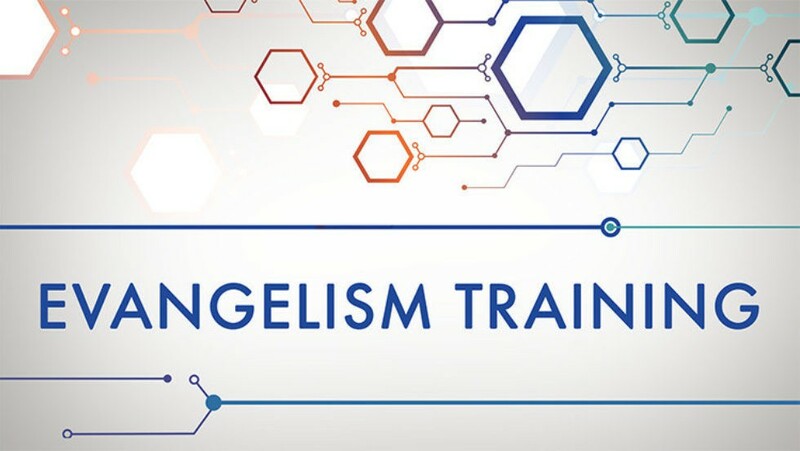 This event is sponsored by the Illinois River District, Sangamon River District, Spoon River District,IGRC Committee on Evangelism and IGRC Congregational Development. *Remember, we will cover your registration! Mark your calendars! Mary Martha will have a cookie sale on Sunday, May 5th before and between services. 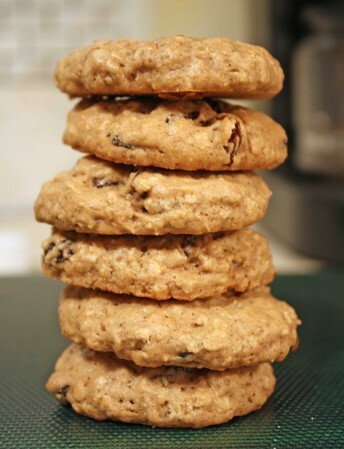 Cookies will be $6.00 per pound and the money raised will be used for mission giving. In celebration of Mother’s Day, May 12, 2019, all friends and members of Prospect are encouraged to help build the glorious bouquet. 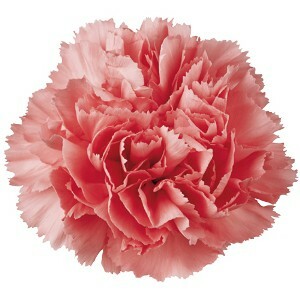 Each carnation purchased at a cost of $1.00 will create the bouquet. If you wish to order carnations, please download an order form from the link below. Copies will also be available in the gathering area on Sundays. 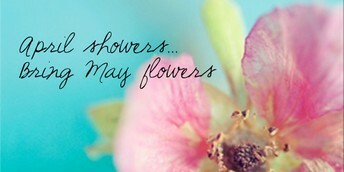 Last chance to order carnations will be Sunday, May 5th. Highway Clean-up Needs your Help!!! We need 6-10 people meeting in the Banner School parking lot at 9:00 a.m. for approximately 1 hour on usually the last Saturday of the month. 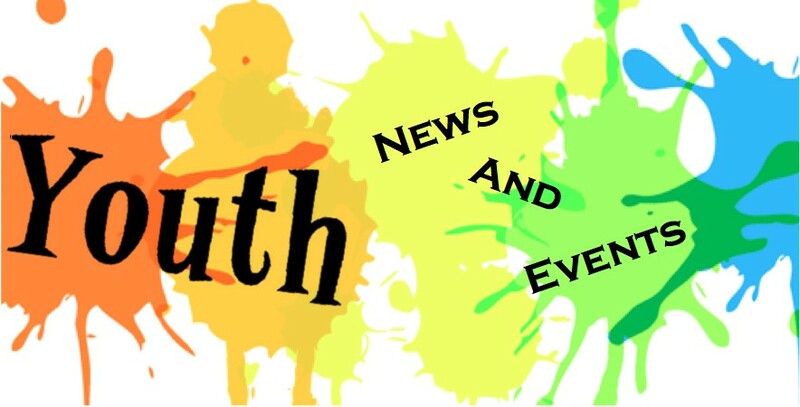 If there is a Sunday School class or family that would like to do it as a group but at a different time/day, that is great -- just get in touch with Lois Yoches (243-5062). The county supplies the neon, reflective vests and trash bags; each person should bring working gloves and sturdy shoes. 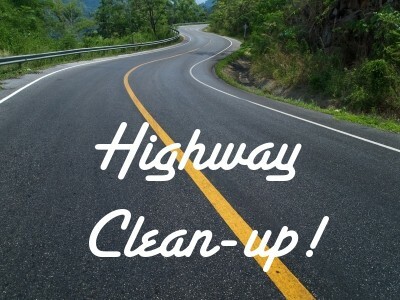 The cleanup works best if one person stays on the top portion of the ditch and one covers the lower part so no one has to walk up and down the steep ditch. Watch for dates to be posted soon! The Food Pantry will be assembling Easter Baskets on Sunday, April 7th between worship services. 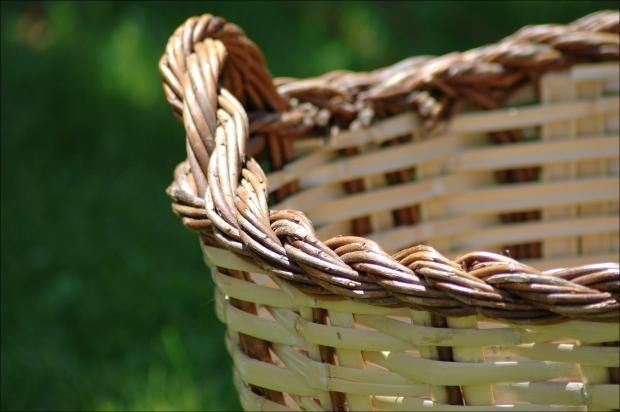 Food Basket pick-up will be on Tuesday, April 9th and Thursday, April 11th from 9-11:00am. If you would like to help, please see Gloria or Nancy! 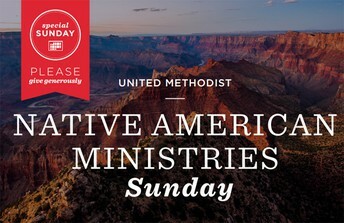 Your gifts on Native American Ministries Sunday fund ministries that pave the way for those who aspire to serve Christ’s Church by making disciples of Jesus Christ for the transformation of the world. When you support Native American Ministries Sunday, you equip seminary students who will honor and celebrate Native American culture in their ministries. And you empower congregations that are finding fresh new ways to minister to their communities with the love of Christ. 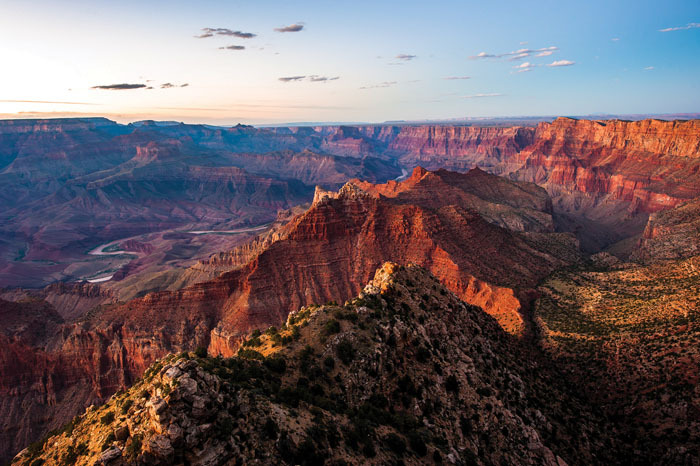 Our Giving Allows Native Americans to Encounter, Worship and Serve Jesus. 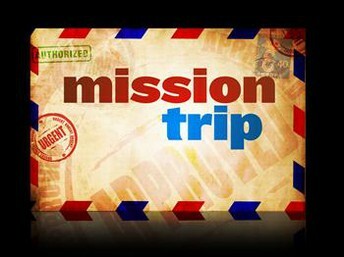 CHADDOCK MISSION TRIP: SAVE THE DATE! The Adult Mission Trip team is headed back to the Chaddock Children's Home in Quincy, IL the week of Sunday, July 21st-Thursday July 25th. All are welcome to join us! Come for the entire week or for a couple days. 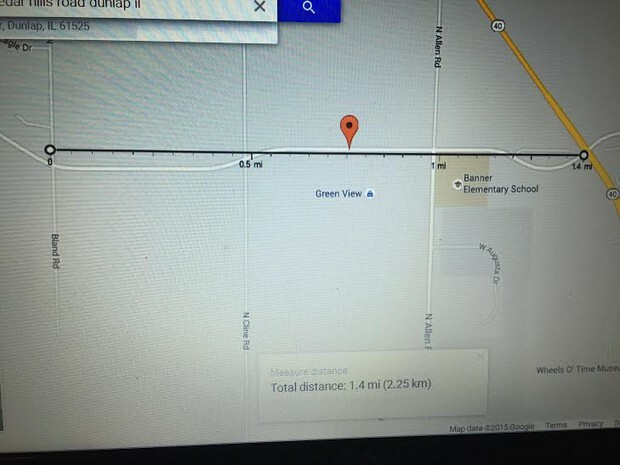 If interested, contact the office and we will get you connected. 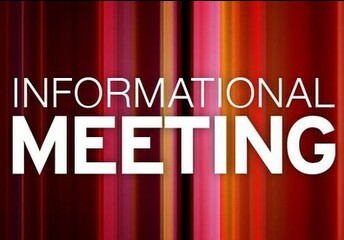 *CHADDOCK INFORMATIONAL MEETING: We will have a informational meeting on Sunday, May 5th. Anyone interested in going please try to attend! We would like to have the set number of people going as early as possible so we have enough time to book additional hotel rooms in advance. *The Chaddock Mission Trip Brunch Fundraiser is scheduled for Sunday, June 30th, following ONE COMBINED worship service. Please mark your calendars and plan to join us! 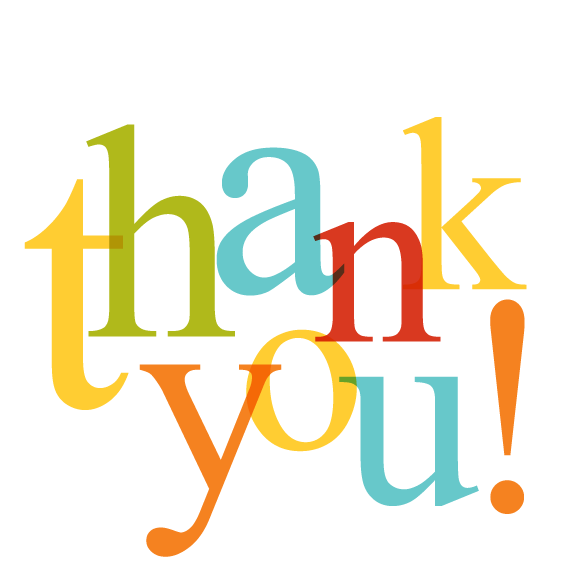 The Prospect food pantry recently received a nice donation from the middle school. However, we are still in need of the following items: mixed fruit, applesauce, spinach, carrots, canned chicken, brownie/cake/cookie mixes, cereal, Ramen noodles, ketchup, body wash .
We will resume rolling bandages for Global Health Ministries in May (dates coming soon). 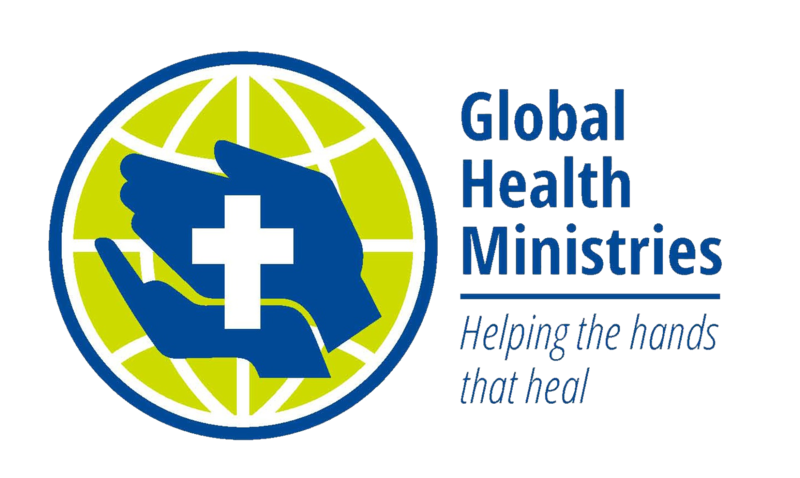 Global Health Ministries sends containers of medical supplies to mission hospitals all over the world. We would love to have you join us!!! 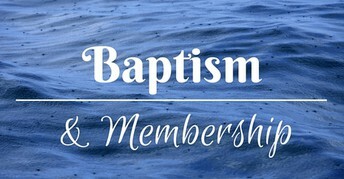 We know how difficult it is to get everyone together on the same Sunday, so are excited to announce that we will work to welcome new members/schedule baptisms based on the best options for your family schedules. 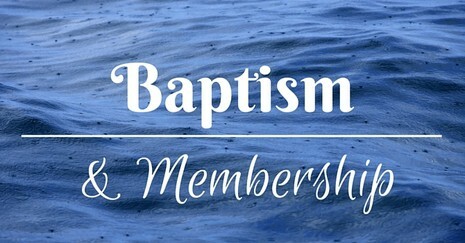 Please contact Pastor Steve (or the church office) if you are interested in learning more about membership and/or baptism (for yourself or your children). No problem! 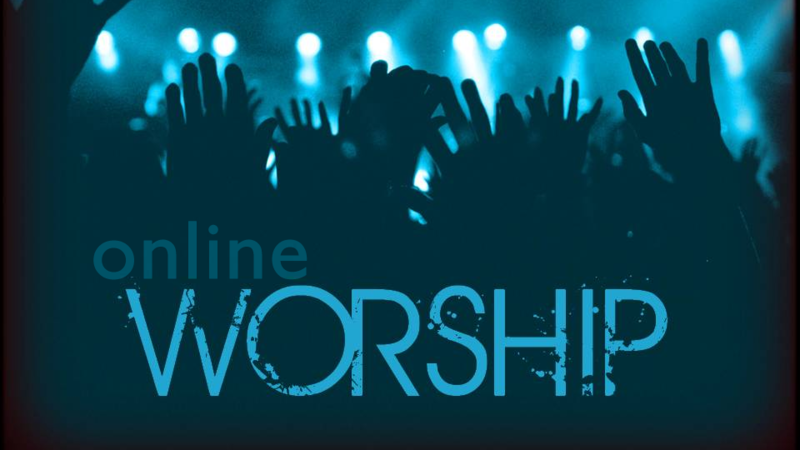 Our Sunday sermons are now posted on-line! You can find them on our website and Facebook page! Dunlap Prospect United Methodist Church, Dunlap, IL. 214 likes. We are called to love and serve all without boundaries. Looking forward to the Easter season! Please join us on Sunday, April 14th at the 845am Service. 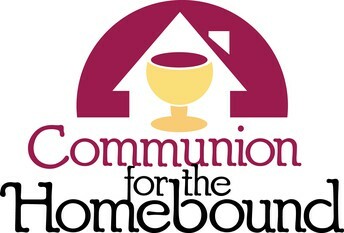 The choir will be offering a Lenten Cantata for the congregation. 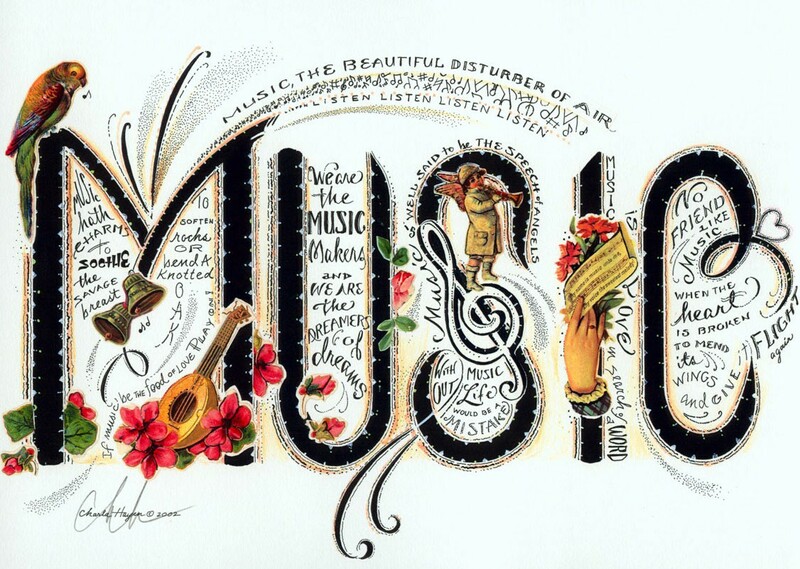 For anyone interested in singing, practices are April 3rd, and April 10th at 7pm. CD's and booklets are on the mini-fridge in the choir room if you would like to practice on your own and join for the dress rehearsal/performance. Looking forward to seeing everyone gather together over the next month! Our kids aren’t (or shouldn’t be) the only ones still in school. 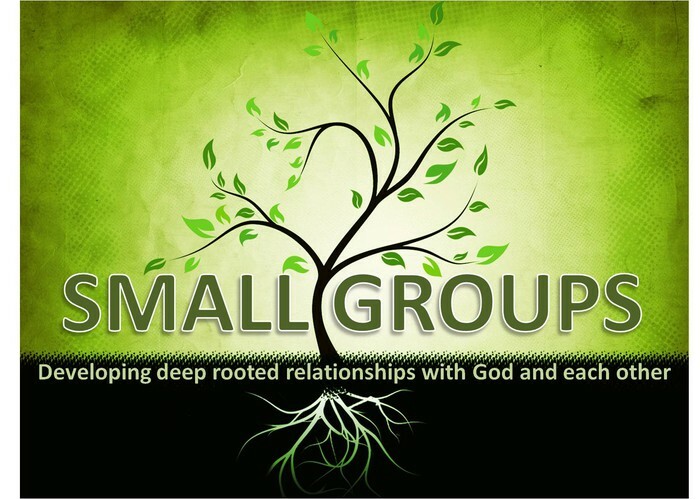 As a church that wants to help you grow deep in Jesus so that we can reach wide for Jesus, we believe that Bible study and small groups are essential for our individual and corporate lives. You can join at any time, there is always room for you! 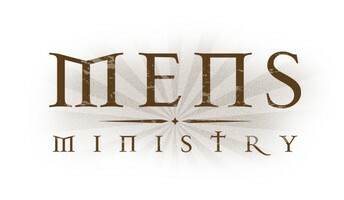 Our Tuesday morning group meets at 8:30 am in the church’s conference room. Contact the church office if you would like more information about either group, or would like to talk to Pastor Steve about forming your own midweek or Sunday morning small group for intentional Bible study, Christian discipleship and fellowship! 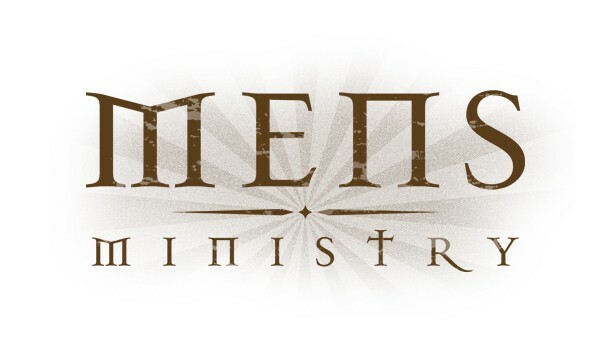 The Methodist Men met on Monday, April 1st at 6:00 pm in the fellowship hall. This month's speaker was BJ Kyle - he spoke about the safety and security plans for the church, with a specific focus on providing help on Sunday mornings. 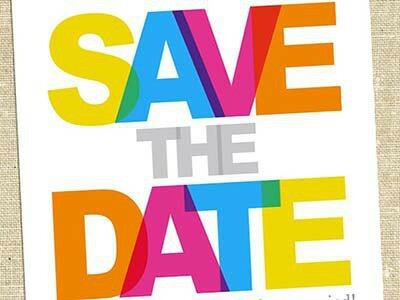 Next Meeting: We will have speaker from The Center for Prevention of Abuse at our April 29 meeting 7:00pm. We would like to invite the whole church to attend. 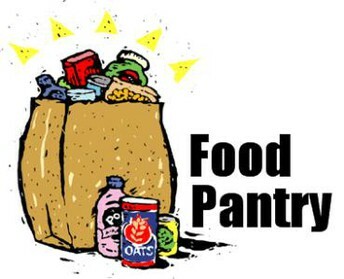 We are also collecting donation items for the Center for Prevention of Abuse! Toilet paper, Paper towels, Full-size shampoo, Full-size conditioner, Full-size body wash, Full-size deodorant, Full-size toothpaste, Coffee, Coffee filters, Canned chicken, Canned tuna, Peanut butter, Large cereal boxes, Oatmeal, Clorox Wipes, Windex, New/unused pillows & New/unused sheets. We chose the name Mary-Martha after we remembered the story in Luke 10: 38-42. Some of us in the group feel we’re like Martha moving from task to task. But we aim to be like Mary too, able to be still and learn from Jesus. 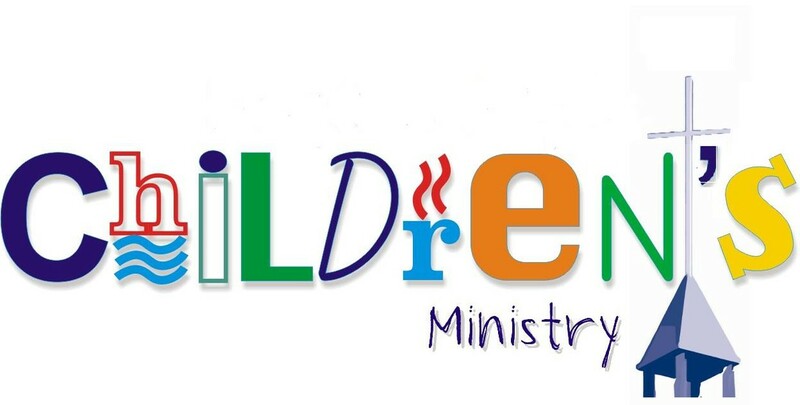 We give to ministries that include Crittenten, Lessie Bates Neighborhood House East St. Louis, Cunningham Children's home, Silent Auction, Chaddock Christmas Child, 100% of our funds are given to mission. 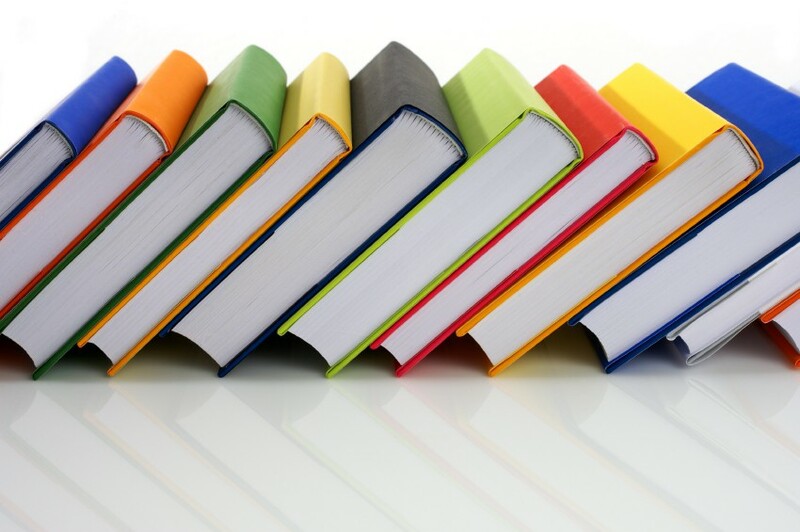 The Prospect Book Discussion group is on winter break. 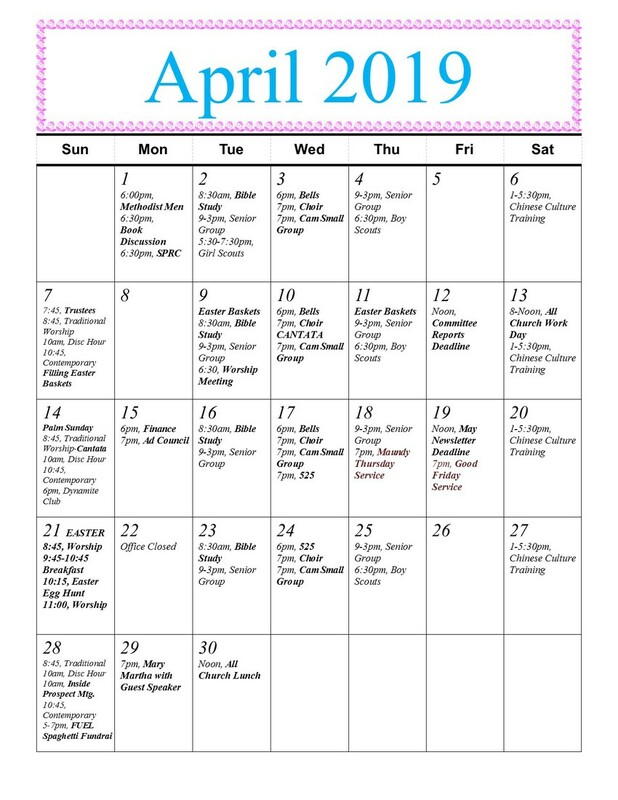 The next meeting will be at 6:30 p.m. in the Lounge on Monday, April 1, 2019, to discuss Can’t We Talk About Something More Pleasant? A Memoir by Roz Chast. With drawings, photographs, and text, Chast shows us her life as her parents age and need more and more assistance. The book has won many awards and is the 2019 Peoria Reads selection. 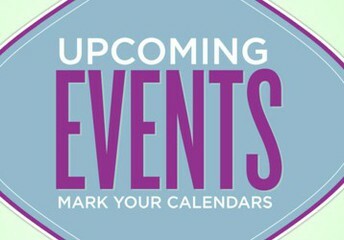 Community events connected to the book are scheduled February - April. We will also meet at 6:30 p.m. on Monday, May 13, to talk about Educated: A Memoir by Tara Westover. Westover grew up with parents who were survivalists in rural Idaho. She did not go to school until she was seventeen, and her mother had not been diligent with home schooling. After much sacrifice and hard work, she eventually excelled in school and earned a PhD from Cambridge. 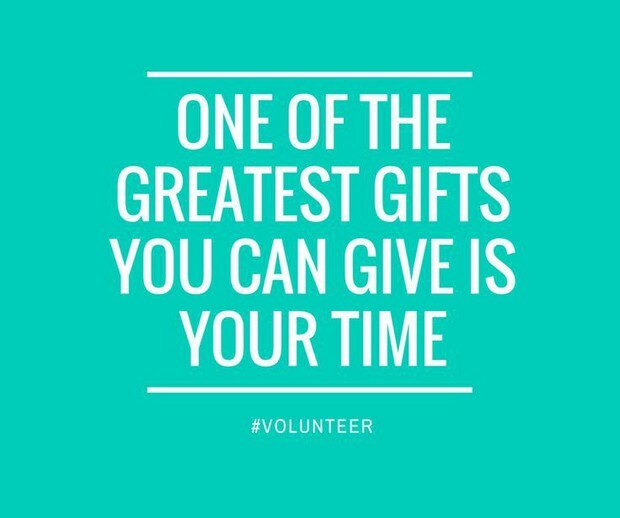 Calling all Volunteers who are ready to experience fellowship and love!!! 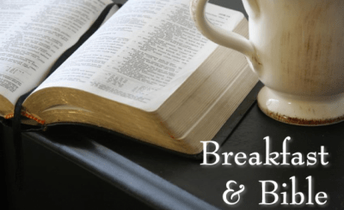 Anyone able to help prepare and set up for the breakfast are asked to meet in the fellowship hall on Saturday April 20th @ 2pm. Anyone willing to help prepare& set up is asked to meet in the fellowship hall on Thursday May 9, 2019 @ 5pm. 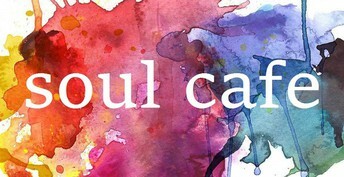 We would just like to thank everyone who signs up to help with Soul Cafe, whether it be bringing treats/drinks or serving it is VERY appreciated. Many have truly been enjoying the fellowship in between the services! Please see Mary Pietreniak if you are interested in serving or receiving home communion. 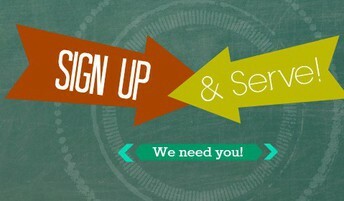 We’re working towards trying to get our students from being disciples to ministers at their schools. We are doing this with intentional discipleship, and answering student questions about the Bible, faith, and life. Please be praying for our students and leaders! 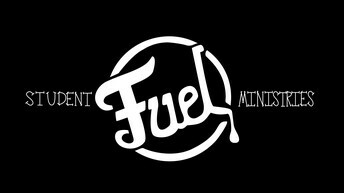 As for Fuel Sunday mornings, we are going through a series that Seedbed has put out, with a focus on being intentional with our faith. Please pray for our students as we continue to learn about what it could mean to live the adventure that having a life in Christ entails. As for Fuel, we’re going to Chaddock with the rest of the team for PUMC! With that, instead of our normal end-of-the-month-gathering, we will be putting on a spaghetti dinner fundraiser on April 28 from 5-7pm! The cost will be $15 a person. Also, students will be able to steal bread / drinks from other tables, tell jokes, sing songs, or do something silly for tips! RSVP with Evan if you would like to come! Would you be interested in helping students learning to be more like Christ? If you are interested in becoming a disciple-maker of students to follow Jesus, please give Evan a text or call at 309-258-9917! Please contact Pat if you have any questions, comments, or concern. 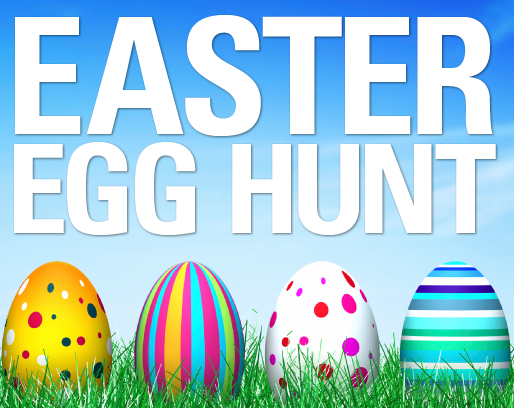 Looking ahead, our annual Easter Egg Hunt will be on Easter Sunday, April 21st at 10:15! Our Illinois Great Rivers Conference United Methodist Summer Camp brochures have arrived! Camp brochures are available in the church office and at the welcome center (under the tv screen in our gathering area). 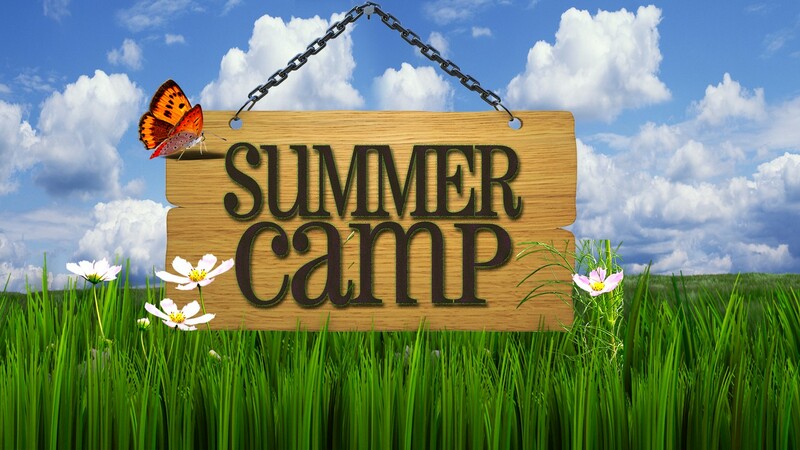 A variety of camps are once again being offered around the state for children and youth in grades 1-12. Register soon before camps fill up. Prospect is once again offering to help cover the camp registration costs for the children of our congregation. 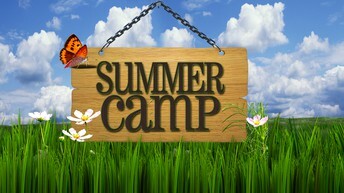 Contact Pat Campbell for more information about summer camping programs! As the weather warms up, our preschool students are learning about spring. Pre-K is finishing up learning their letters and numbers and will be starting to prepare for graduation! 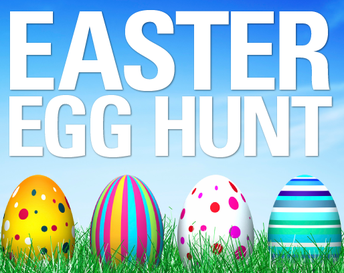 Easter break will be from Friday, April 19-Monday, April 22. 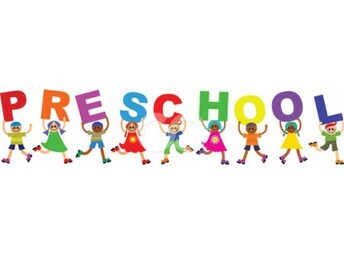 Registration is currently underway for the 2019-20 school year, we still have some openings for three year olds in our 2 day (Th-Fri) program (child must be potty trained). We also have openings in Pre-K and we will potentially be adding a four day afternoon Pre-K class if there is enough interest. After Care is also in full force, but we will still take applications for new students. Contact Dani if you would like to register your child for after care! 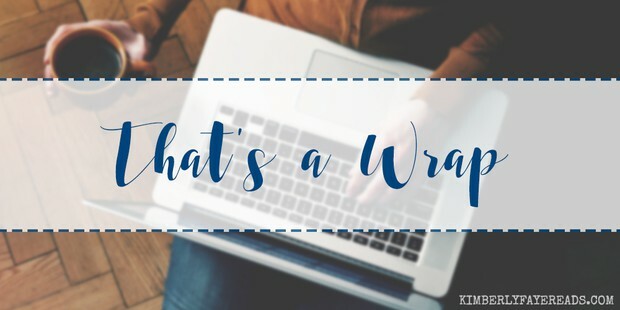 Prospect subscribes to the RightNowMinistry (“the Netflix of Christian Bible study”) resource, which provides all of our members with access to 1000’s of video led curriculums including offerings specifically geared towards books of the Bible, Parenting, Marriage, Single Living, Men, Women, Teens, Children, Leadership and Finances from a Christian perspective, and more. 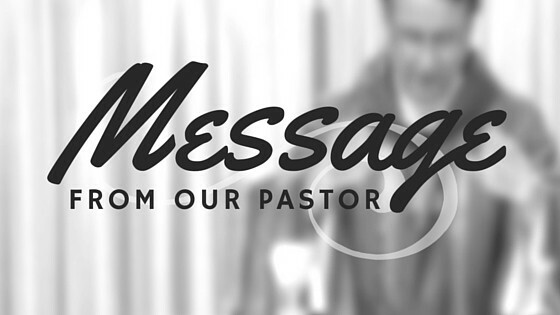 Contact Pastor Steve if you do not have access to the rightnowmedia.org site (or have forgotten your log-in). 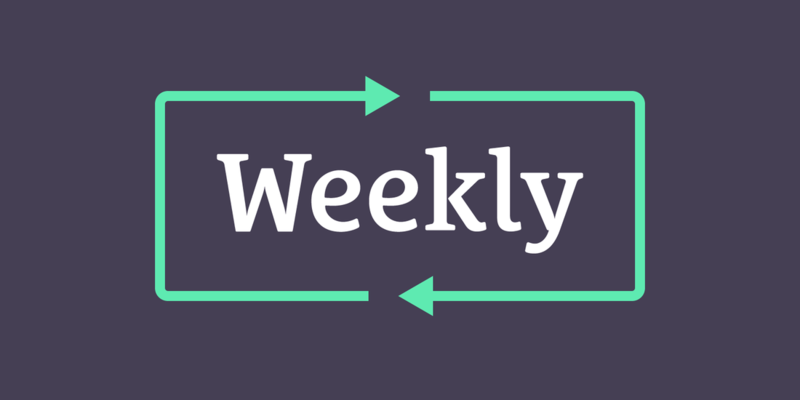 Click the link below to download the 52-week Bible reading plan! Lifting Up Christ; Looking In to meet one another’s spiritual and physical needs; Reaching Out to love and serve others. Junior and Senior Youth Group on Sunday Evenings. 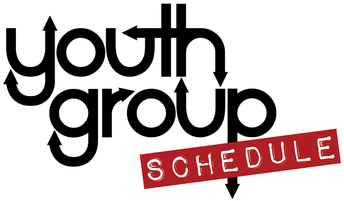 Small Groups for youth through adults available weekly. Nursery, Children's Room, Kingdom Quest & many other opportunities available.